The "Deep Dive" track is a new feature at this year's NGINX Conf, with sessions by and for NGINX-savvy developers and DevOps experts. No high-level messaging, but plenty of practical information and curated code examples. Join us October 8–11 in Atlanta GA.
NGINX Conf 2018 has two days of demos and presentations on NGINX Plus, NGINX Controller, NGINX Unit, the NGINX Kubernetes Ingress controller, and more. You can also see the big picture, how it all works together as part of the NGINX Application Platform. Register now for Early Bird savings. NGINX Conf 2018 opens Monday, October 8 with a training day. The main conference is Tuesday, October 9 and Wednesday, October 10. NGINX CMO Rob Whiteley discovers container wars, multi-cloud, serverless, AI/ML, IoT, and a new focus on the enterprise at AWS re:Invent 2017.
nginx.conf 2017: Speakers and Sessions Are Ready! 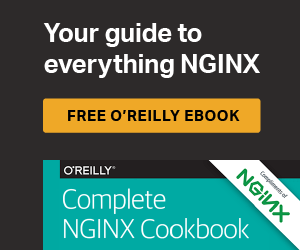 The NGINX conference is announcing its lineup and a discount! Discover best practices and techniques in application development and delivery. nginx.conf 2017 in Portland, Sept. 6-8, features new product launches from NGINX, talks, training, and Q&A - with a limited-time discount! Visit booth 5G555 at Cloud & DevOps World to learn why NGINX Plus is the premier software load balancer designed to run in the cloud. nginx.conf 2017: Registration and Call for Proposals Are Now Open! Registration and Call for Proposals are open for nginx.conf 2017. Discover best practices and techniques in application development and delivery. Couldn't make it to nginx.conf 2016, NGINX, Inc,'s annual conference, held this year in Austin, TX ? Get caught up on what you missed in this recap.